Content seeding. It might sound like a strange concept. Or a gardening term. But it’s actually one of the newest strategic approaches to internet marketing. By using this strategy along with other marketing and targeting concepts, it’s possible for a business to build an even stronger ability to be seen and heard online. Not only will that give a company a chance to grow and develop, but it will give that same company a chance to reach out to the people who will be most interested in what the company has to offer. Here’s what you need to know about content seeding, and how to use it to help your company improve and succeed. How Does Content Seeding Work? Content seeding works by spreading content around the internet, just like scattering seeds in a field. Whether these seeds take root and grow depends on what kinds of seeds they are and where you scatter them. 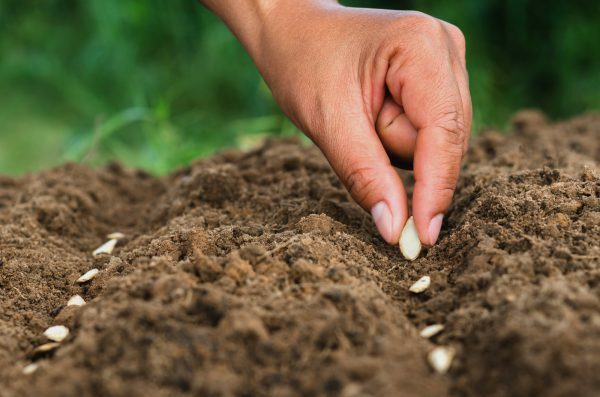 Just like planting seeds in your garden that are designed for your location’s climate, you need to plant seeds of content in the right “climate” for your readers to find and appreciate them. Then those seeds will grow, and so will your business. One of the ways that these seeds can be planted is through working with influencers. Ideally, you want people who are already well-known to talk about your product or endorse it in some way. You want your company’s content affiliated with those people, mentioned on their social media accounts, and posted on their websites for all the world to see. By scattering, or “seeding” the internet with your content, you’ll hit more of your target market. Seed Your Content. Grow Your Business. Why should you get involved in content seeding? Because it can make your business grow like a weed! You might not want those fast-growing nuisances in your garden, but when your business takes off like crazy the only nuisance could be hiring more people to keep up with customer demands – and that’s a problem just about every business owner would love to have. When you get thought leaders in your industry to talk about your company and your content, you reach not only a wider audience but a large segment of your target market, as well. That makes the original content available to a lot more people, and it also helps ensure that your content achieves a level of social awareness and validity that it wouldn’t otherwise have. That could be crucial to your business’ success and development, depending on your industry. Getting started in content seeding isn’t necessarily that difficult. Of course, it’s easier if you already have connections for your business, but even if you don’t have those established yet there are still things you can do to get noticed by the right people. Focus on the other people in your industry and the current events that are happening there. Get involved in the events, talk about them with others, and reach out to people who are more established than you are. While you don’t want to ask your competitors to help you are, you do want to reach out to marketing gurus, people who have influence in your industry and related niches, and those who are interested in the current events as they relate to particular types of businesses. The more you connect with established voices, the more likely it will be that one or more of those voices will tell their followers about something your company has done or is doing. Keep in mind that it’s not just about seeding content. You have to create the great content first before it gets out there to the masses. In short, you need a great writer or team of writers to work with. Then you’ll have quality content and the right message available. As it’s seeded out to various places on the internet, and as it’s picked up by others in your industry, people who read it will see the value it has and respond in a positive way to your company. A lot of seeded content goes viral, and that’s amazing for your business. When you go viral, you get noticed by thousands or even millions of people. Any idea what that would do for your company? Yeah. You’d have to hire more people. Maybe even move to a bigger location. When you get there, look around and see if you have a garden you could tend. But you might want to let those weeds grow for a little bit. They earned it.